The Gülenist Terror Group (FETÖ) managed to infiltrate into the government, including the police, judiciary and military, and into public institutions like the education, financial and media sectors over decades. This was the call of the group's ultimate leader Fetullah Gülen to establish a state within a state or "a parallel structure." 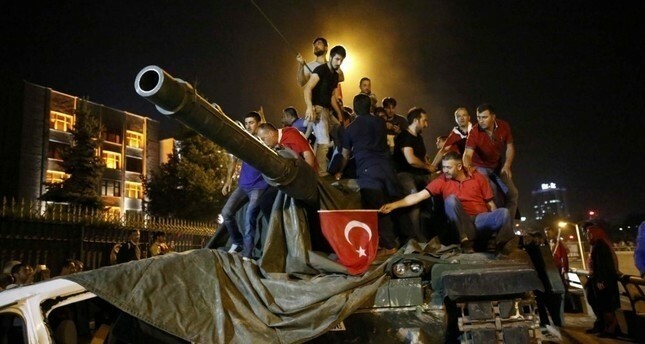 Although the threat FETÖ posed had been noticed by the government and steps were be- ing taken to eliminate their influence, many people didn't even know about them until the night of July 15, 2016, when their members in the Turkish military plotted a coup d'état to overthrow the Turkish government. The coup attempt failed at the expense of hundreds of lives and thousands of others who were injured. They used heavy weaponry, including fighter jets, helicopters and tanks, to try to takeover however they failed. There were major actors that night that changed the course of history. The people firmly stood against the coup, while the culprits looked to overthrow the government and fought against the public who opposed them. These figures who stood against the coup without hesitation will be remembered by in history for years to come. The Turkish government and President Recep Tayyip Erdoğan's comprehensive investigation to eliminate FETÖ's dangerous influence on state institutions dates back to December 2013, when the terrorist group launched an operation through its members in the judiciary and the police to topple the government. On the night of the failed July 15, 2016 coup attempt by FETÖ, President Erdoğan was in a hotel in the western district of Marmaris in Muğla province. He had left 15 minutes before coup plotters raided his hotel room. Erdoğan decided to go to Istanbul after speaking with then-Commander of the First Army Gen. Ümit Dündar, who was firmly stood against the coup. He suggested President Erdoğan come to Istanbul instead of Ankara. Before leaving for Istanbul, Erdoğan connected live to a TV channel via FaceTime. He called on the people to take to the streets against the coup. Erdoğan, the key figure of the day, made his second speech to the public that night at Atatürk Airport in Istanbul when he met with thousands who poured into the streets in order to resist the coup, and showed his determination against any kind of threat to the government and democracy. Binali Yıldırım, who was the prime minister when the failed coup attempt took place, was on the Asian side of Istanbul. Following President Erdoğan's call, Yıldırım also called on citizens to take to the streets. He then decided to return to go to the capital Ankara immediately. Yıldırım chose to go by car due to security concerns in the air. FETÖ-linked Gendarmerie forces opened fire on his convoy and he changed his route several times. With the ongoing armed conflict in Ankara, Yıldırım had to stay at the house of a district governor in the area and led the process of rebuffing the coup attempt in Ankara. Later he called deputies to gather in Parliament. He encouraged the people and his party members to resist the coup. Defense Minister Gen. Hulusi Akar, who was the chief of General Staff at that time, was unlawfully detained by the coup forces on the coup night. Akar was transported by helicopter to the Akıncı Air Base in Ankara, where the coup plotters tried to convince him to sign the coup declaration at gunpoint. He refused to do so even when they tried to choke him with a belt. He had quite an important role that night as the coup attempt could have been successful to a large extent if he had signed the declaration instead of siding with the Turkish government, peo- ple and the democracy. Commander of the Turkish Land Forces Gen. Ümit Dündar, the commander of the First Army at the time, was also a key actor on the night of the failed coup attempt. Dündar rejected the coup soldier's call to side with them after he learned that the key generals were taken hostage. He called Istanbul Gov. Vasip Şahin and some other government figures. He later called Erdoğan and guaranteed his safety in Istanbul, preventing him from going to Ankara. Playıng a heroic role, Sgt. Ömer Halisdemir prevented FETÖ-linked soldiers under the leadership of Brig. Gen. Semih Terzi from taking over the Special Forces Command (ÖKK) in Gölbaşı, Ankara. Halisdemir shot and killed Semih Terzi after Terzi declared that martial law and he was now in charge. Halisdemir was killed by the other coup plotters in the base. Second Corps Commander Lt. Gen. Zekai Aksakallı, who was the Special Forces commander two years ago when the treacherous coup attempt took place, had ordered Sgt. Ömer Halisdemir on the phone to shoot the pro-coup Semih Terzi, without a second thought after learning of Terzi's involvement in the coup attempt. Gen. Yaşar Güler, who was recently appointed as the chief of general staff, was taken hostage with then-Chief of General Staff Gen. Hulusi Akar and taken to the Akıncı Air Base on the night of the coup. Later, investigations revealed that he was taken hostage by his aide, Mehmet Akkurt, who was accompanied by putschist soldiers. But, just like Akar, he did not hesitate to resist the coup attempt. Bekir Bozdağ, who was the justice minister at the time, was one of the many politicians and deputies from each party that gathered in Parliament to show their commitment to democracy. He stayed put even while the Parliament building was bombed by F16s. Bozdağ was one of those who stood bravely against that treacherous coup attempt during a time of panic. He said, "If we close Parliament and go down to the shel- ters the people won't come to the squares? They will think we are scared. ... What we will do here is die." FETÖ's leader and the mastermind behind the failed coup attempt, Fetullah Gülen has been living in self-imposed exile in Pennsylvania, U.S. since 1999. The fugitive imam and the cult leader collected money through funds with his cult members who used schools, media organizations and other projects to help recruit and expand its influence. The fundamental aim of the terrorist group was to infiltrate into the government, including the police, judiciary and military, and public institutions like the education, financial and media sectors media. A major issue between Turkey and the United States has been the extradition of Gülen, after investigations revealed he was behind the failed coup attempt that cost 249 lives and injured more than 2,000 people. Akın Öztürk, the former chief of the Turkish Air Forces and the former member of Supreme Military Council, was responsible for the planned coup's military branch. Öztürk was at the Akıncı Air Base during the night of the coup d'état while the then-Chief of General Staff Gen. Hulusi Akar was being held as a hostage at the base. Involved in the failed coup, the attempted assassination of the president and other charges, he faces multiple life sentences. A theology lecturer in Sakarya province, Adil Öksüz is claimed of being FETÖ's imam in charge of the Air Force and of being one of the masterminds behind the July 15 coup attempt. Adil Öksüz was one of the top five civilian imams of FETÖ and was caught on camera at Akıncı Air Base in Ankara on July 15. According to several testimonies from officers involved in the coup attempt, along with that of the judge's, who freed Öksüz and later got arrested himself for his links to FETÖ, Öksüz worked with generals to plan the coup and ordered its execution after receiving approval from Gülen. Referred to as the "black box" of FETÖ, Öksüz reportedly acted as the "imam" for the Air Force, and was a point man for Gülen. Investigators say he is the person that transferred Gülen's instructions to followers in the military. Former Col. Ali Yazıcı, who served as an aide to President Erdoğan up until the coup attempt, was accused of helping putschist troops trying to kill the president. Yazıcı, who allegedly sought to locate the president during the coup attempt to inform the coup plotters of his whereabouts, was sentenced to 18 years in prison. He said he heard about a planned coup one month before the coup attempt but he couldn't explain why he did not inform the authorities about the talk of a coup. Brig. Gen. Semih Terzi, who is told to be the one who gave the order of Erdoğan's assassination according to testimonies of the soldiers, was the commander of the First Special Forces Brigade. Terzi was shot dead by noncommissioned officer Ömer Halisdemir upon the order of Lt. Gen. Zekai Aksakallı, after arriving at the Special Forces headquarters in Gölbaşı district in Ankara province together with the putschist soldiers. 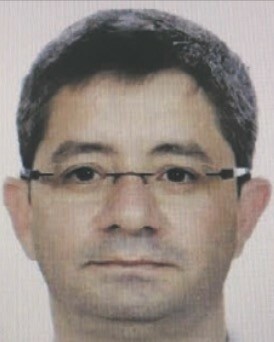 One of those civilians captured shortly after the coup attempt at the Akıncı Air Base, Kemal Batmaz was a former manager of a Gülen-linked company. Batmaz's role was to plan and conduct the coup attempt with Adil Öksüz. Batmaz was captured on security camera footage released by Turkish media outlets walking freely as a civilian around the Akıncı Air base which is a military base and conversing with officers who joined the coup. Mithat Aynacı is a former police chief, who served at the Istanbul Police Department at the time of the Gezi Park protests, which began as a small environmental demonstration on May, 31, 2013, later turning into a nation-wide anti-government protest. He provoked the public with an excessive use of force and was ostracized from the profession for his relation with FETÖ. Later on July 15, 2016 he was captured while wearing a military uniform in one of the tanks used by FETÖ members to seize the police headquarters in Istanbul. He was convicted to aggravated life imprisonment. Former Brig. Gen. Mehmet Partigöç, who served as the head of the General Staff Personal, Planning and Administration Department, was among the leading putschists. In his testimony, he claimed that he had no ties with FETÖ. However, there is a camera footage showing him with putschist troops. According to testimony of his aide, Partigöç ordered Special Forces personnel, "Do not let anyone in the vicinity of the General Staff, and fend off any trespasser by shooting if necessary." The investigation conducted about Partigöç found that he actively took part in meetings between July 6 and July 9 led by Adil Öksüz at a mansion in Konutkent in Ankara, where the coup plot was developed. The assignment list prepared by the coup plotters reads that a new position called the "second deputy chief of general staff " was created and Partigöç was assigned as the one in charge of the headquarters. Also an F series $1 bill, which is a signature object among FETÖ disciples, was found on Partigöç. Former Lt. Gen. İlhan Talu was one of the heads at the Office of the Chief of General Staff before he was dismissed from the military and arrested for links to the coup d'état. His mission was to investigate FETÖ's infiltration into the Turkish Armed Forces (TSK). After the coup attempt, he was accused of leaking Supreme Military Council decisions and bringing forward the time of the coup attempt from 3 a.m. to 9:30 p.m. after learning that the National Intelligence Service (MİT) had intelligence about a possible coup attempt on July 15. He was also leading the way for a putschist team of Special Forces as they entered the military headquarters to apprehend anti-coup generals, which is seen in CCTV footage. Having confessed that he was a member of FETÖ which he said was behind the July 15 coup at- tempt, former Lt. Col. Levent Türkkan, who had been the right hand of the chief of General Staff and was among the putschists who held then-Chief of General Staff Gen. Hulusi Akar hostage on the night of the coup attempt, claimed he was notified of a planned coup two days before it took place, by former Col. Orhan Yıkılkan, who was the chief adviser to Akar. Yıkılkan instructed him to prepare and said they would capture the president, the prime minister and commanders on July 15. Türkkan said that Adil Öksüz told Yıkılkan how to coordinate the seizure of the headquarters and officers opposing the putsch.